In a world with big name racing such as Formula One, NASCAR, FIA’s World Endurance Championship, and Indycar, many lesser known racing organizations are left without the audience and publicity they deserve. Who doesn’t love watching a pack of 40 Miatas bump and fight each other lap after lap for a spot on the podium? Spec Miata delivers true driving skill, wheel to wheel racing at a semi-affordable level. Unfortunately, it seems as if the only people spectating these races are the families and teams of the drivers. Within just five short years since the series’ inception, the GRC has amassed a wide following across the nation. All with a little bit of Red Bull’s marketing magic. Let’s do the math, rally drivers + 500 horsepower hot hatches on dirt tracks with maybe some asphalt thrown in? Yeah, I think that might be interesting to watch. A modern racing series featuring technology from the future with the intensity and action that modern day F1 fans are often left craving after every other race weekend. The cars make crazy noises, the fuel is drinkable, and the racing action doesn’t seem to end. Two wheels, dirt, no brakes. Good? Good. 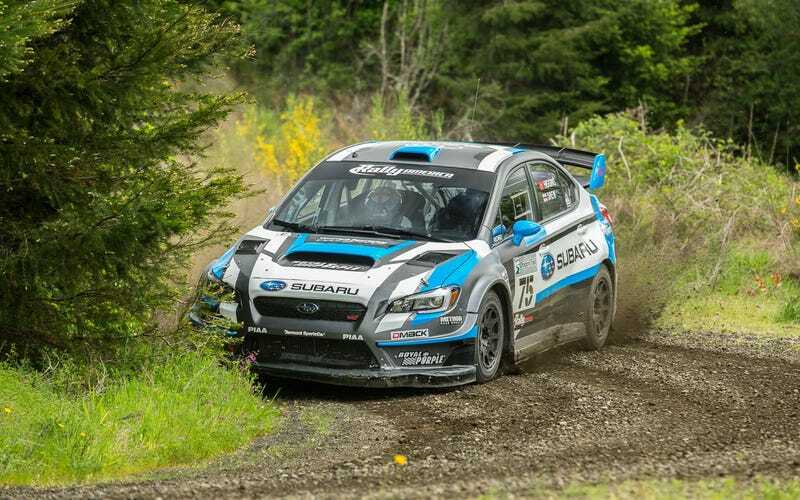 The only ways FIA’s World Rally Championship could improve is if their rallies were more accessible to Americans, and if they changed the rules to let Subaru back in. However, we all know neither of those things are happening any time soon. Though WRC isn’t broadcasted on cable here in the states, you can sign up for WRC+ and catch direct live feed from hot rally stages, as well as pre-recorded onboard footage and highlight reels. World Rallycross Championship (RallyCrossRX). It is by far one of the most entertaining racing series in the world. Short sprint format, practically full-contact, mixed surface, cars that are just as insane as GroupB was, world class drivers (Petter Solberg and Mattias Ekstrom for examples), and yet the only place it’s available to watch is beIN Sports. Probably because it’s being intentionally shoved out of market by Global Rallycross Championship, which is a) not global and b) rubbish in comparison. When NASCAR’s Whelen Modified Tour travels, the stands are filled with spectators. What sense does it make that barely any of their events are actually aired on television? BTCC is what the Continental Tire SportsCar Challenge should be. Drivers not afraid to give a bump and a nudge where necessary and who are willing to race until the win. Watching DTM live is like watching 25 raging bulls go head-to-head for 40 minutes straight. The cars sound absurd and the driving is unfiltered. If only America’s NASCAR was anywhere near as cool as DTM. Whether it’s the World Rally Championship or Rally America, rally doesn’t get the attention it deserves. Rally offers arguably the most intense driving in motorsport and requires incredibly skilled drivers, teams, and cars built to withstand whatever may be thrown at them on a stage. From my experiences spectating stage rallies, I can say that I have found it nearly impossible to stay up-to-date with the live standings, break-downs/wrecks and other happenings while off-stage. Maybe I’ve been doing it wrong, but it isn’t usually until I see cars being pulled back into service by a sweeper rig that I actually get a sense of who’s still in and who isn’t. Sure, the introduction of Subaru’s Launch Control video series has helped drop insight to what actually goes on at these rallies, but these are properly produced programs, not live action standings and results. Also, let’s not forget that it takes nearly three months for the video to show up anywhere after the rally occurs. Hey Rally America, get it together! Get some live-feed cameras up at stages and make it so spectators like myself can actually figure out what’s going on. Then maybe you’ll have more than twelve spectators at each stage.